Curmudgeonly old codger Vincent has money problems, drinking problems and likes to make matters worse by spending what little money he has on sleeping with a pregnant Russian prostitute and gambling on the horses. Just as Vincent is at his lowest, the recently divorced Melissa McCarthy comes crashing into his life by moving in next door with her 12 year old son Oliver. When little Oliver is the target of bullies, he ends up losing his keys and having to ask Vincent for help. So starts a deal between Vincent and the boy’s mother where she will pay him to look after the boy while she works all hours to pay the rent. Bill Murray is on fire as the grizzled old geezer at the beating heart of this story. Of course there is a heart beneath the gruff exterior. Of course the boy will help to thaw his heart. Of course he’s not as mean as he first appears. While the old guy and his new young charge begin bonding over breaking bullies’ noses, the supporting cast also get their time in their spotlight. Naomi Watts is saddled with a dreadful accent and Terence Howard is completely wasted but Melissa McCarthy gets to deliver a wonderfully warm and touching performance as the straight one in her odd couple pairing with Murray, nimbly stepping out of the shadow of her recent comedic tour de forces. 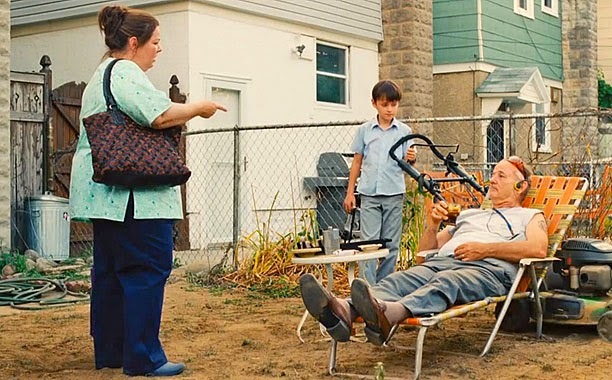 So while St. Vincent is filled with some fine performances, big laughs from Bill Murray and decent drama, it’s all as predictable as you can imagine. Chris O’Dowd fights earnestly in a handful of scenes for the title of funniest guy in the movie but this is definitely Murray’s vehicle. It’s a bright and sunny, heart warming film that never dwells too long on its brief moments of tragedy. Everyone in the film is inherently good, an overly optimistic take on life that occasionally rings false and sugar coats proceedings to the point where you may want to gag a bit by the end. By the time, Oliver is trying to convince the world that Vincent is a modern day saint, the gags have all but dried up but St. Vincent has earned some of its its heart tugging emotion. Debut director Theodore Melfi has done well to gather such an accomplished cast who are capable of eliciting laughs and tears, even if the writing is frequently a little too obvious. 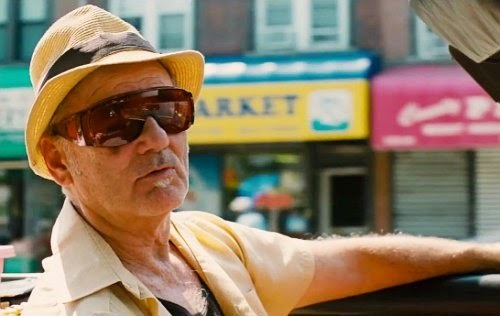 St Vincent isn’t one of Bill Murray’s best films but without him, it would have been a hell of a lot worse. What did you think of St Vincent?